jasmine, violet leaf, rose, white musk, amber, and woodsy notes. Launched by the design house of Disney. This floral fragrance has a blend of green apple, galbanum, jasmine, violet leaf, rose, white musk, amber, and woodsy notes. 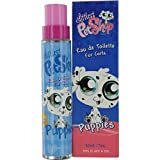 Everyday fragrance for children and kids that can be worn to school. Launched by the design house of Marmol & Son. This sweet floral fragrance has a blend of mandarin, bergamont, orange, freesia, and jasmine notes. 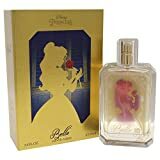 Type: FloralLaunch Year: 2014Perfume Type: EDT Eau De ToiletteSize: 3.1 – 4 Oz. We cannot accept returns on this product. 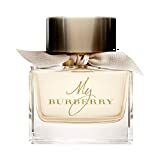 My Burberry Eau de Toilette is a new cheerful and radiant floral interpretation of the original scent: Reminiscent of a bright, spring blossom garden in London. Top notes of sweet pea and lemon flower fused with peonies, peach flower and freesia at the heart, rounded out with a base of rain-tipped damask roses, white moss and a touch of musk. Travalo is the tough, leak-proof, aircraft approved mini perfume bottle. Just pump to fill, and Travalo refills in seconds. Smell great wherever you go. Never Travalo without it! Our patented pump-to-fill refill system keeps your fragrance where it belongs: in the bottle until you’re ready to use it. Perfect for travel or handbag. Lip Balms that soothe, moisturize, and provide a soft shine for your lips! 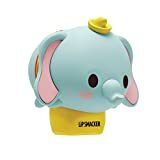 Dome shaped balms feature a soft topper cap that doubles as a collectible toy! Each character has their own unique flavor – collect and stack them all to create a tower of cuteness! Packaging for this product may vary from that shown in the image above. Moisturizing, Soothing, Soft Shine and Flavor! A long time ago. 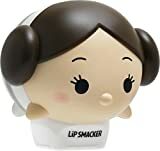 in a in a lip balm not so far away… there were Lip Smacker Star Wars Tsum Tsums to save the galaxy from boring lip balm! Bring the game to life with this stackable, collectible lip balm pot in a yummy special edition flavor. Conditioning formulas smooth and moisturize lips, leaving a delicious translucent shine. Collect them all!